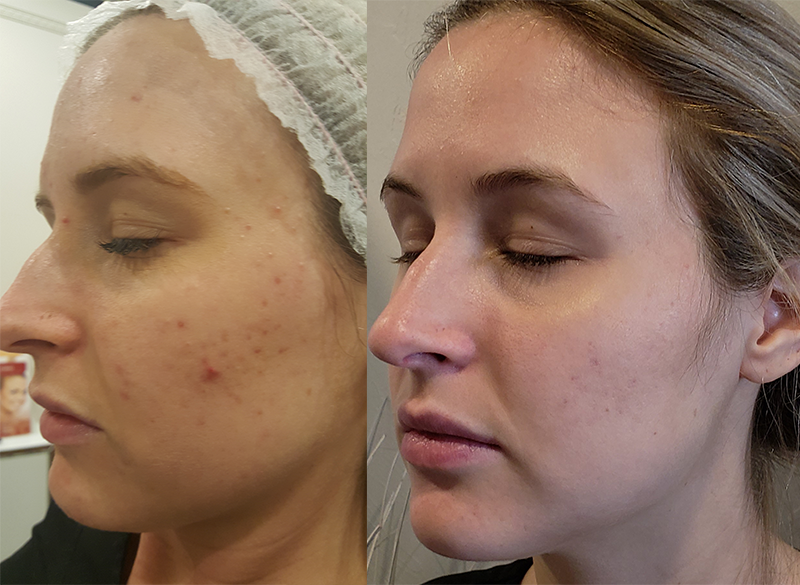 Acne is a complex skin condition that requires combination therapy in order to combat the root of the problem so we can obtain long term results. We always recommend booking a complimentary 3D Skin analysis and consultation so that we can assess the treatments that are right for you. Acne Clarifying Treatment– This treatment is meant to target active acne, milia, enlarge pores and oily skin. This facial treatment uses an enzyme exfoliation mask, a glycolic and clay mask, steaming and extractions to reduce build up in the skin. 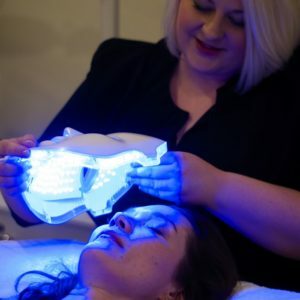 Then High Frequency and Blue Light Therapy are used to kill acne bacteria, detoxify the skin and aid in healing to prevent scarring. A plant based SkinCeuticals Phyto Gel Mask hydrates and cools the skin to decrease inflammation and balance the skin’s oil production. This hour and a half treatment can be done as a stand alone treatment or in a series of 3 to 6 appointments space 1 to 4 weeks apart. Blue Light Therapy is used to destroy bacteria and regulate the oil production in the skin. This no downtime treatment is a popular service for preventing and treating mild breakouts. When combined with other treatments, it can aid in giving sustainable results to even the most difficult cases of acne. This 40 minute treatment can be performed 2 times per week for a series of 6 weeks or can be incorporated in a series with other services.